The Seva Retreat was a wonderful 7 year event and we thank everyone who particpated. We are taking a rest for 2017. We do consulting for events if you would like to see our consulting page. Only a few spaces left register today. Hosted By Balance Yoga and Wellness owned and operated by Courtney Butler C-IAYT, ERYT 500. When: Oct 15th at 1 p.m. to Oct. 16th at 3 p.m. Cost: Scroll to bottom of the page for payment buttons. $135 commuter with meals, $195 overnight in shared comfy cabin with meals, $270 a person for a shared room in the lodge (2 queen beds with a private bath, similar to a hotel), $345 Single person private room in lodge. Courtney Butler- C-IAYT, E-RYT 500, RCYT, RPYT, E.R.Y.T. -P.O.L.Y., Y12SR, Certified Solution Focused Life Coach, Yoga Therapist, and Owner and Director or Balance Yoga and Wellness. Jennifer Bartlett -200 RYT Baptiste Level 1 Certified Instructor, Y12 SR.
Ashley Mann E-RYT 200, RCYT. 5:00 to 6:00 Free time for retail or exploration of camp. 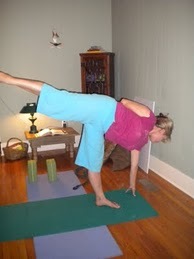 6:30- 7:45 "Get your Asana Up" with Elana 500 E.R.Y.T. Level 2 and 3. 1." Y12SR Round Table, Yoga for 12 Step Recovery" Cindy Wylie & Jennifer Bartlett E.R.Y.T. 200, Lead a yoga round table discussion. All Y12SR leaders are encouraged to attend as well as any interested student. Discussion and experiential, all levels. 2. "Yoga Nidra" (with short asana practice) Deby Sweatt 200 R.Y.T., R.N. all levels. *Commuter includes all meals and activities excluding massage. *Shared cabin is dorm room style. Cabins are heated and cooled with bath and showers for each cabin. Six to a cabin. Each person gets a bunk bed to themselves. * Lodge is like a spartan hotel (no t.v.) 2 beds and private bathroom. Clean and cozy. 2 options here, 1 to share or alone.